Wireless security cameras are fast becoming a popular trend in 2013. 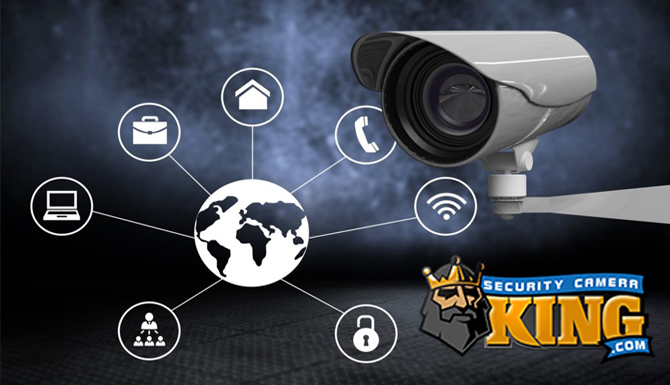 They provide convenient home security monitoring from any electronic device that is connected to the Internet. New, advanced technology is the reason behind this popular way of protecting your home. Many people love the convenience of a smartphone and these security systems can be monitored using your smartphone. Some security systems will even send you a text message if your alarm is triggered. Security systems that automatically dial up to six phone numbers is also available. If no one answers the first phone number, then the system proceeds to call the others until someone answers. This is a convenient way to monitor your home. You can even go online and view live images of your home through your computer or smartphone. Wireless security systems don’t require installing cables throughout the walls of your home. They can be set up almost anywhere in your home. They are inexpensive and you can buy complete sets that have everything you need to get started. There are a variety of high-quality security system manufacturers. Consider hiring a security auditor to get started protecting your home. A professional auditor will find security weak spots in your home that will improve your level of security. A professional security system retailer can help you choose the right wireless security system for your home. Consult the security professionals to save time. A wireless security system will save you money on installation costs compared with a wired system. If you move from your home, you can easily pack up the sensors and control panel. They are also more secure than a wired system that is connected to your phone line. A wireless system’s communication signals will keep on working even if the phone line is not. Security systems in the past were easily compromised and today’s systems are much more secure. There are two main types of wireless security systems. Security systems that use your Internet connection to send a signal to your monitoring station. The other security system is interactive and uses your cellular connection to communicate via the web. This makes it possible for you to monitor your home from anywhere that has an Internet connection. Monitoring your home with your smartphone is more convenient and gives you greater peace of mind. An interactive home security system allows you to arm and disarm your system from a computer or smartphone. There are other components of a home security system that you can add to improve your level of home security. Door and window sensors and contacts should be installed to prevent a burglar from breaking in through these areas. Door and window sensors will alert you if it detects glass breakage. Door and window contacts will alert you if someone tries to open them. These are two separate components that you should use in combination with other security devices. Motion detecting cameras and sensors can be programmed for your unique security situation. If you have small pets, you will want to program the system to ignore anything under a specific weight. 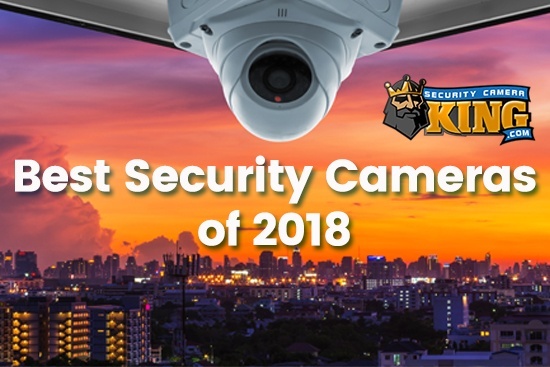 Modern security technology keeps improving year after year. Social media is a great way to stay in touch with family and friends. However, it can be a tool that burglars use to their advantage. If you post on social media sites on a regular basis, use caution when revealing your plans. Whether you are going to a concert or a vacation, don’t let others know when your home will be empty. The same goes for posting photos while you are on vacation. You could be giving a burglar an open invitation into your home. Most people are not aware that this is a possibility. Just be aware and cautious when revealing your plans on social media sites. Crime watch teams are a great way to cut down on burglar in your neighborhood. If there is not currently a crime watch team in your neighborhood, find out how to start one. This is an effective tool for community involvement to reduce crime. Many law enforcement agencies are proactive when it comes to helping the community organize a crime watch team. Most burglars will stake out a neighborhood before choosing the home they want to break into. Neighbors who watch the neighborhood know which vehicles and people are familiar in the area. If they suspect a vehicle or person, they should call the local authorities. It is better to report suspicious behavior rather than risk burglary. Learn everything you can about your neighborhood crime statistics. This information is readily available from your local law enforcement office. Communities working together really can make a difference in neighborhood burglaries. Many people leave their garage doors open when they are at home. This can be a mistake because someone passing by can take a look at everything you have in the garage. If you keep expensive golf equipment, tools or other expensive items, it can send a message to a potential burglar that your home may be worth breaking into. Keep your garage doors locked and secured at all times. Replace your garage door opener if it malfunctions. Many people walk outside their home and discover the garage door has opened on its own. This is a major problem and can put your home security at risk. Newer garage door openers have improved and are less likely to malfunction. When you leave for vacation, make sure your garage doors are locked from the inside. If your garage has a door that leads straight into your home, make sure it is a heavy, wood or steel door that has a deadbolt locked installed. You should consider this door the same way you think about the front door. 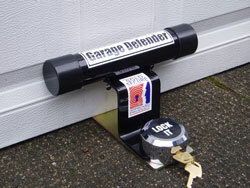 Garage doors are a popular target for burglars, because once inside, they are hidden from view and can take their time breaking into that door. There are also driveway alarms that you can install that will alert you to the presence of a vehicle. Professional home security retail stores offer a wide variety of security devices to improve the security of your home. A great way to add an additional security layer involving your home’s windows is to plant thorny bushes close to windows. This will prevent a burglar from hiding in the bushes in order to break into your home. Make sure large tree branches are kept trimmed to prevent a burglar from climbing onto your roof. You should also hire a lawn service to care for your yard when you are out of town. This is a favorite way for burglars to determine whether someone is at home. A yard that is not maintained signals no one is at home. Landscaping should be maintained and not allowed to conveniently hide a burglar. All of these tips combined together will make it much more convenient for a burglar to choose your home. The more security measures you put in place, the more likely the burglar will choose an easier target. Burglars just want to quickly gain entry into your home and leave just as quickly. There are plenty of homes that do not offer much in the way of security. They prefer targeting these homes. Protecting your home includes making sure that you do not advertise your expensive items to strangers. This includes selling expensive items on popular classified ad sites. Never meet a stranger to sell an item in your home. Instead, you should choose a public place to meet. If you give a stranger your address and you are selling an expensive item, a potential thief may decide to rob you when they arrive. This does happen even in smaller cities. Keep expensive electronics out of sight from your windows. Curtains and blinds should be used at night. It is much easier for someone to pass by your home at night and look inside to discover you have a big screen television. Expensive jewelry should be locked away preferably in a wall safe. If you put all your valuables in a portable safe, there is nothing to stop a burglar from carrying the entire safe out of your home. A wall safe is safer and more difficult for a burglar to break into. They will not want to spend additional time in your home trying to figure out how to open a wall safe. Hide your wall safe behind a picture or piece of furniture to conceal its location. If you own firearms, knives or other types of weapons, these should be safely locked away. Burglars love to target homes with these items because they are easier to sell on the black market or pawn shop. A burglar’s priority is finding items that are easy to sell. This also includes game systems, televisions and stereo equipment. Protect your home by thinking like a burglar. What expensive items in your home would be easy to sell? Secure these items or keep them out of sight from the windows. These tips will reduce what the burglar can take, if they break into your home. Home security systems are often equipped with fire and medial safety options. Fire destroys many homes each year. A fire alarm system that is connected to your home security system can alert you in case of smoke. Some fire alarm systems can be connected directly to your local fire department. You can also protect your home from fire with a monitored fire alarm system. Make sure you also install carbon dioxide detectors. Many people are overcome with carbon dioxide fumes each year. Because carbon dioxide cannot be detected, it is important to install these sensors. Medical safety panic buttons can be included in your security system. If you have small children, or a family member with health issues, these panic buttons can bring you peace of mind. They are directly connected to your local emergency medical department. Panic buttons are located on the control panel of your security system. Panic button key chains are also convenient to use. The front or backdoor is a common point of entry for a burglar. 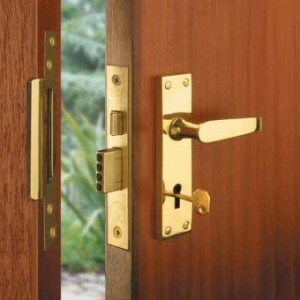 If your doors are not reinforced, you are making a burglar’s job much easier. Install high-quality doors on every entry point into your home. The door locks you choose should also be made of the highest quality possible. Combine quality door locks with deadbolt locks to reinforce entry doors. Add a kick plate to prevent a burglar from simply kicking in the door. You can also install an intercom system that lets you easily identify visitors. Peepholes allow you to view whoever is at the door, but a surveillance camera placed near the door will be more effective. Surveillance cameras are a great way to keep monitor the outdoor areas of your home. You can view the images in real-time and discover if someone is loitering. You can also find surveillance systems that include two-way communication. You can use these near your front and backdoor. They should be installed by a professional home security company. 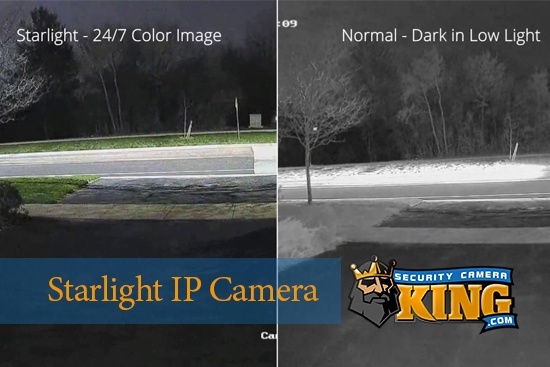 Choose a surveillance camera system that delivers a clear image even at night. You can find surveillance cameras that are activated by motion. This can save you hours of image viewing time. Research the different types of surveillance cameras that are available for residential use. You will find a lot of high-quality manufacturers. Choose a system that will accommodate enough cameras to cover your outdoor area. Install motion detecting lights that light up your entire yard if someone is near. These can be triggered by a neighborhood pet walking around at night, but lighting up your home at night will improve your level of security. Home security is a concern for most people. Following these tips will improve the level of your security in your home. Make it more difficult for a burglar to choose your home.